At MyEliteMate.com, choose from millions of men and women, from the comfort of your home for just 33 cents per day! MyEliteMate.com members get access to exclusive features like instant messaging, private email, live chat rooms, voice mail, video profiles, personality matching and a fantastic feature you won´t find anywhere else: astrological compatibility analysis. It´s a private and fun way to meet other singles anytime of the day or night. And it´s only $9.99 a month! At MyEliteMate.com we simplify socializing and make it easy to get to know people you click with! So take a break from the bar scene, crowded clubs, expensive dating services, and embarrassing blind dates. Register on MyEliteMate.com now and Receive Free Anti-Spyware Software, Astrology Reading & IP Dialer For Free Unlimited Long Distance When You Register. Remember, the first login is free and gives you full privileges on the site so you can experience what this elite online community has to offer. This elite membership offer is only available for a limited time so join now! Join Today And Experience MyEliteMate Free And Fully Privileged! I Express My Consent To The Privacy And Terms Of MyEliteMate.com. Please Enter Your Full Name Below As Your Digital Signature Of Expressing Your Consent To Allow MyEliteMate.com And Its Marketing Partners To Communicate To You Via Telephone, Email and Postal Mail. Please Enter Your Full Name Below As Your Digital Signature Of Expressing Your Consent To Allow MyEliteMate.com And Its Marketing Partners To Communicate To You Via SMS As Text Message From MyEliteMate Members And It's Advertisers. ”I love MyEliteMate.com. No matter if you are looking for a long term love relationship or just a friend, MyEliteMate is a GREAT place to begin your search. I've met many people & they were WONDER-FULL. The connection you can gain from becoming a member of MyEliteMate is well worth it. I love being a member of MyEliteMate.com! It really showed me how to meet quality people and enjoy my life!" MyEliteMate.com - Always communicate with all MyEliteMate.com members using EliteMate's secured servers. Do not give out your personal email address, postal address, social security number, phone numbers, instant message handles or any piece of private information to any MyEliteMate.com members ever. Take as long as you feel necessary to get to know MyEliteMate.com members using all of its anonymous communication features (Email, IM, Chat, Astrology And Personality Matching, Video, Texting, Voice, Greeting Cards, Browser Winks). Utilize all of MyEliteMate's and EliteMate's member privileges to communicate with other EliteMate members until you feel totally safe and secure. We highly recommend ALWAYS using MyEliteMate site powered by EliteMate.com to communicate with any MyEliteMate members. Please review all of our safety tips here. All of the models appearing on MyEliteMate are of paid actors. The testimonials are real from EliteMate members that joined MyEliteMate. 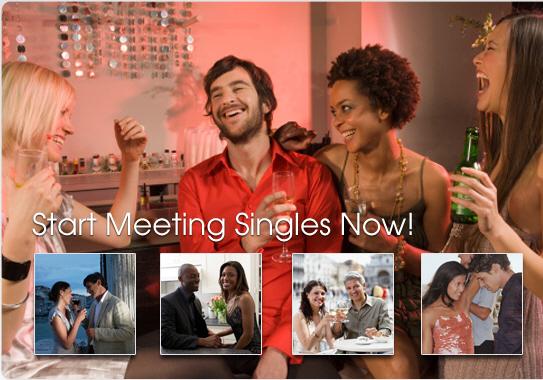 MyEliteMate.com - Where Singles Meet - We Simplify Socializing!